The northern shores of Skaneateles Lake. On a good day, Skaneateles Lake can look perfectly calm and the water, crystal clear blue. But one day in March was anything but typical. “Because we have a strong wind from the south, it’s creating 16 miles worth of waves that are crashing against the northern shore,” Rachael DeWitt, the executive director of the Skaneateles Lake Association, said. In 2017, something happened to the lake that had never been seen before. A large amount of rain in the middle of summer washed whole hillsides of mud into the lake. The nutrients, mixed with warm temperatures in September and October, 10 degrees above average, were the perfect conditions for a lakewide algal bloom. Rachael DeWitt, the executive director of the Skaneateles Lake Association. Algae are simple aquatic plants that can grow out of control and sometimes produce toxins. Exposure to HABs, or harmful algal blooms, can cause an allergic response, like a rash or eye, skin, even lung irritation. If ingested, intoxication can affect the liver or nervous system, causing nausea, vomiting or diarrhea and can be fatal, especially for pets. Skaneateles Lake is the drinking water source for more than 200,000 people, including the city of Syracuse. Chlorination got rid of the toxin levels that were found at the pipe intakes, according to Lisa Letteney, the director of the Division of Environmental Health for Onondaga County. Syracuse Mayor Ben Walsh is including an additional $100,000 in his proposed budget to address the blooms. 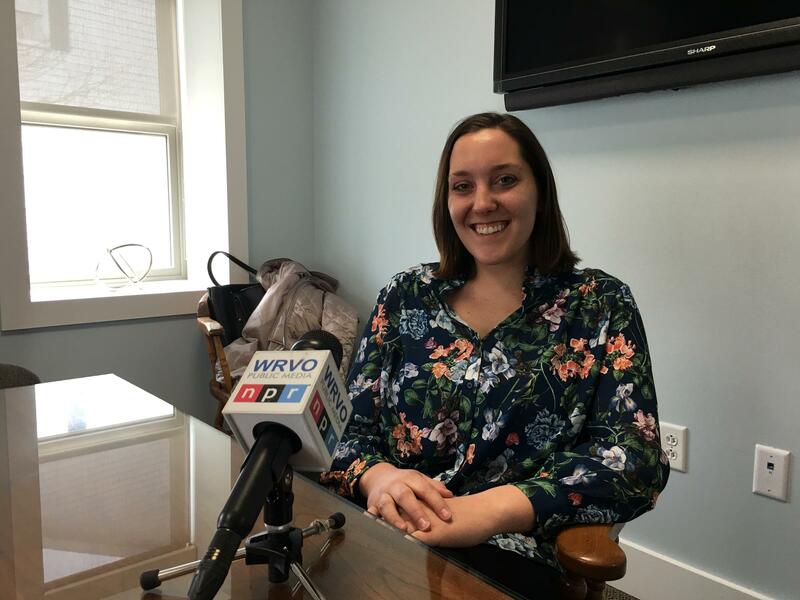 “And as we’ve seen changes in our climate in recent years that have led to these algae blooms, we need to make sure that we’re staying out ahead of it, and continuing to invest to make sure our drinking water is safe,” Walsh said. And it’s not just Skaneateles. All of the Finger Lakes have had algal blooms. Onondaga County has had to close down Jamesville Beach and Oneida Shores when the blooms appear. SUNY ESF professor, Greg Boyer. 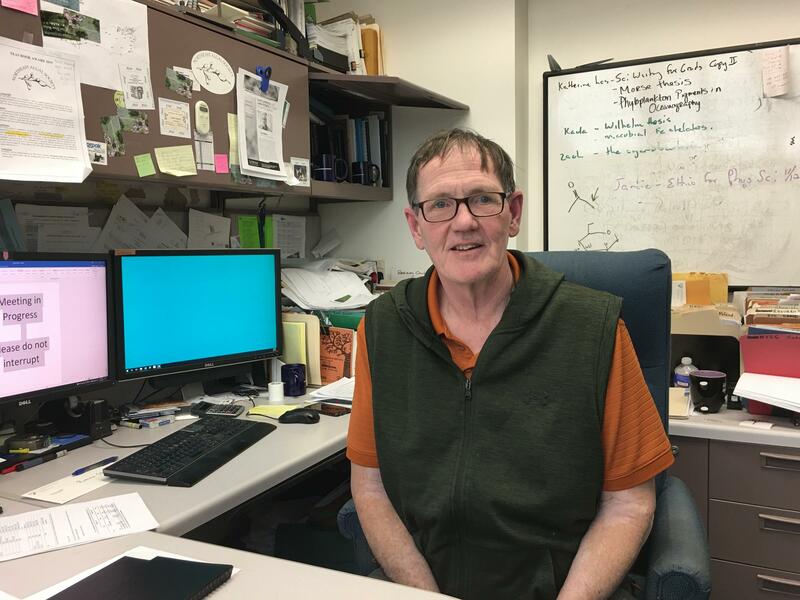 Greg Boyer is a professor of bio chemistry at the SUNY College of Environmental Science and Forestry and director of the Great Lakes Research Consortium. He said although the blooms have been around for 100 years, most experts would say there is a connection between an increase in HABs and climate change. Boyer points out, all winter, he’s been monitoring a bloom under the ice in Lake Neatahwanta in Fulton that never went away. In theory, he said, the blooms could get worse. What climate models predict, and what’s already happening in the Northeast, more heat waves and heavy downpours, are optimal conditions for the blooms. The city of Syracuse is hoping the state can come through with $12 million to help ensure the cleanliness of drinking water from Skaneateles Lake. Syracuse Mayor Ben Walsh said the money would fund the extension of a water intake pipe deeper and further into Skaneateles Lake. There are a few reasons Walsh said this is necessary.